The insulation in your attic is an integral part of what keeps your energy costs manageable, as well as the temperature in your home comfortable. Without it, heat would escape instead of staying trapped inside your home, and the temperature wouldn't be able to regulate. If your home's insulation isn't working as well as it should be, your air conditioning and heating will have to run more to compensate. This leads to higher energy costs, which nobody wants! So, how can you test to see if what's in your attic is in need of tending to? An easy way to tell if the insulation isn't at its best is by seeing if it crumbles when touched. However, it's important to be safe if you decide to do this! Be sure to wear gloves to protect yourself from any itchiness, particularly with fiberglass. Just in case it does crumble, it would also be best to wear a facemask so you don't breathe in any particles. Then, simply press the insulation slightly. If this easily knocks pieces off, or it seems to disintegrate, then there's a good chance that you need to have it replaced. Check For Signs Of Water Damage! Water damage is a huge factor when it comes to insulation. Not only can it wreck it, but also mold can begin to grow and spread, which causes a health hazard. 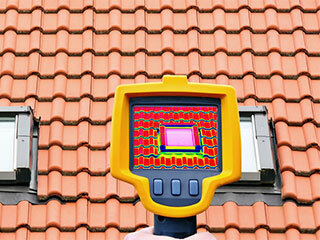 The best way to know for sure is to take a look around your attic, particularly near the insulation. If you see odd stains or discoloration, smell mold or mildew, or notice something like warped wood, these are all indications that water has gotten in. Look For Indications Of Pests! Rodents can cause a lot of harm to your attic's insulation, as well as spread disease through their waste or decomposing. If you've heard noises, notice droppings or greasy looking spots, or have found gnawing marks on wood or boxes, you probably have a pest problem. They like to use insulation for nesting, so if they're around you can be sure that it's in trouble, and should be taken out after the rodents are dealt with. You might consider getting rodent proofing done as well, to ensure they won't be able to harm it again.